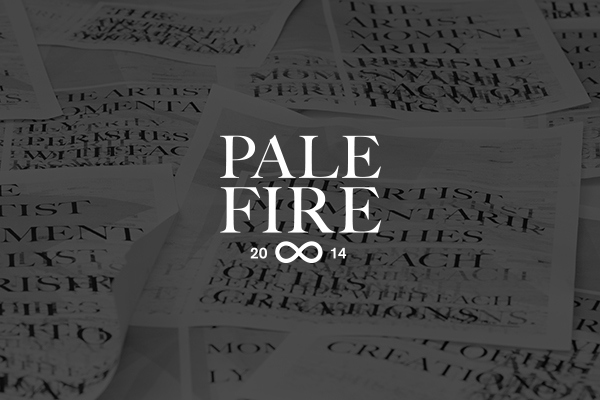 Pale Fire is a creative programming piece developed to explore the individual and uniqueness of the creative process. The installation begins with the press of a button. 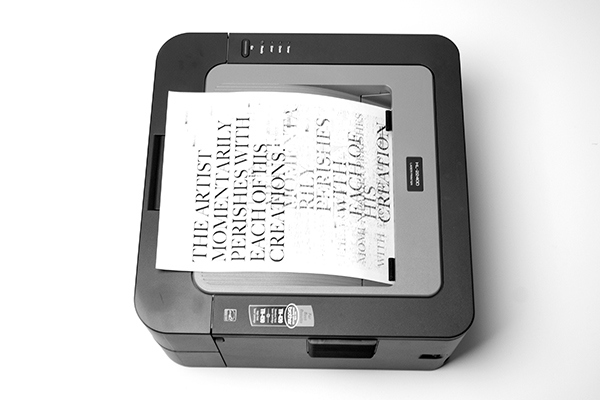 After a moment of thinking, the printer outputs a unique, generative poster. 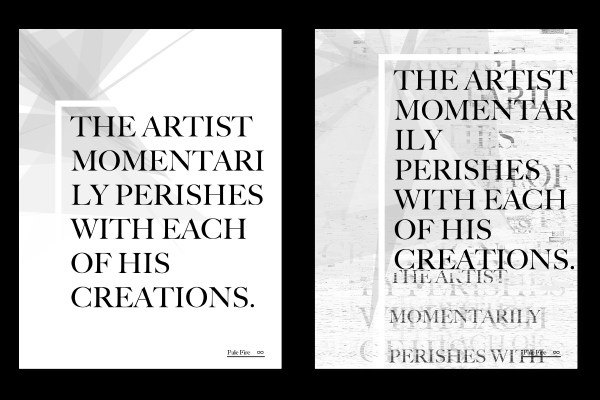 When the next user presses the button, the computer loads the previously printed poster iterates a new version, using the previous iteration as a starting point. 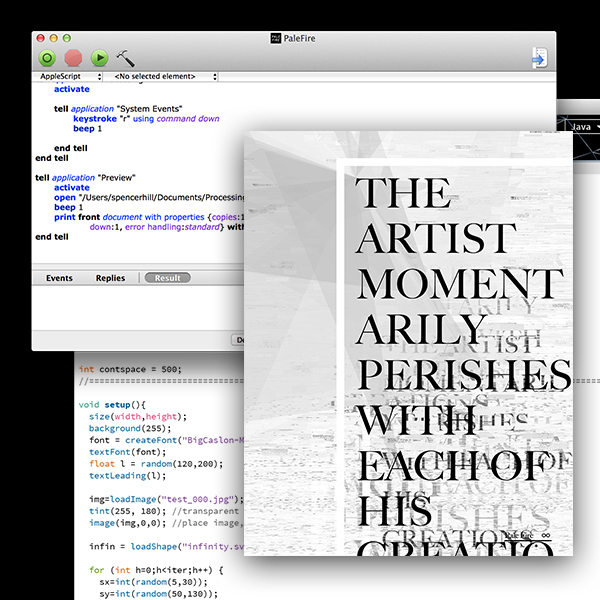 Every time the program is run, the computer overwrites the original image and prints out a new poster, leaving that poster as the only physical remnants of creation.